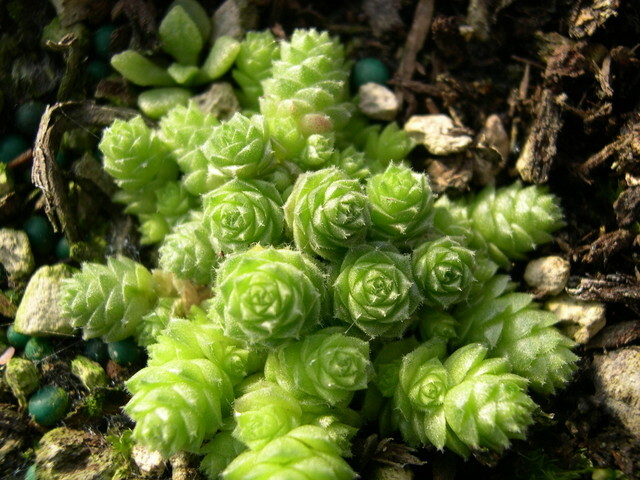 One of the lowest growing Mexican Sedum varieties. Very dense grower has tiny leaves with little white hairs on the edges. Summer flowers of bright yellow. Keep relatively dry and water from below when feasible. From Mexico.